If it’s Tuesday, then this is a teaser. Today’s teaser is a tough one. How’s that for a tongue twister? If you’re ever tempted to take a teaser from an Anne Stuart book, be warned: it’s hard to find two sentences that don’t give the plot away or are not, ahem, too racy for excerpting. Ah, that Anne Stuart — my kind of lady. As teasers go, that one’s pretty succinct. But that sums up the beauty of Anne Stuart’s writing — she rarely wastes a word. 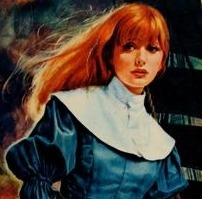 Her Harlequin and Silhouette titles were just as developed and finished as her later single-title releases, like Ritual Sins. Rachel Connery is a woman with a mission—to destroy Luke Bardell, the charismatic man who seduced millions of dollars from her dying mother, thus robbing Rachel of her inheritance. Now Rachel wants revenge—and she’s willing to enter Luke’s lair and risk the lure of his magnetic personality to get it. Luke Bardell is a master manipulator. He always gets what he wants from people, and Rachel Connery looks like an especially easy mark, She is beautiful and angry and spoiled, and the challenge of melting her icy exterior inspires him. For Luke it is a standard ritual. But desire is a dangerous weapon that cuts two ways. Rachel could get trapped in a nightmare of forbidden feelings…or she could use her strength and intelligence and fierce will to find a way into Luke’s heart and force his utter surrender to her—body and soul. Ritual Sins was first published in 1997. Contrary to what a recent All About Romance blog post says about pre-Millennium contemporaries now feeling dated or reading like historical fiction, Ritual Sins still feels fresh. 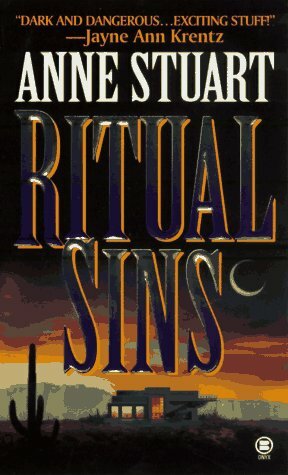 Whether that’s Stuart’s timeless writing or the strange nature of the story I don’t know, but I was actually disappointed that I’d waited so long to read Ritual Sins. It’s now available in e-book — what are you waiting for!?!? So if you have a blog, play along by posting your teaser/link to your blog in the comments. If you don’t have a blog, share anyway in the comments! So what are you reading, babies? Categories: Random, Romance, Teaser Tuesdays | Tags: All About Romance, Anne Stuart, Ritual Sins, teaser tuesdays | Permalink.